Happy Monday! T and I had yet another weekend that revolved entirely around food. I managed to gain two pounds in two days, but it was totally worth it. On most Friday nights we like to stay at home, get takeout, and watch something on TV - preferably any Dateline with Keith Morrison. 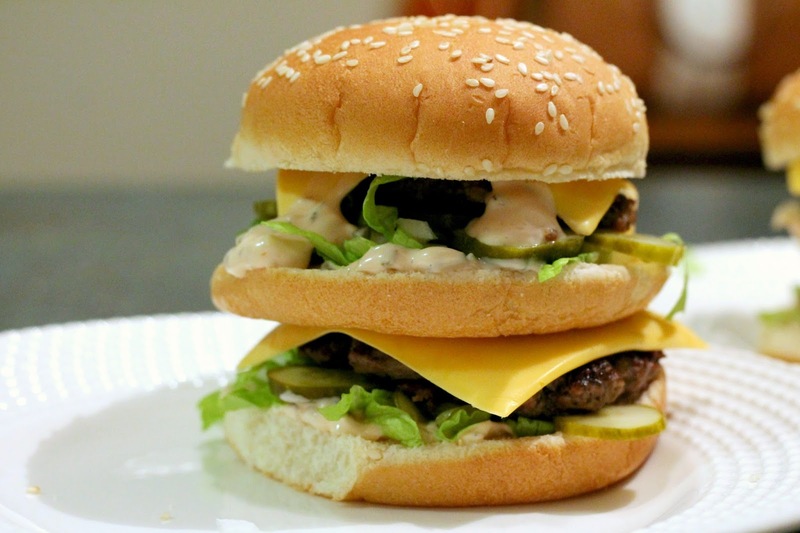 Rather than getting takeout this weekend, we switched it up a bit and made homemade Big Macs. Ever since I saw the recipe on Designer Bags and Dirty Diapers, I've been thinking about them. These did not disappoint, which came at no surprise. Every recipe I've ever made from Natalie at DB&DD has been a hit. They tasted like fresher, bigger versions of the real deal. Saturday morning we got up, made breakfast, and filed our taxes. Super exciting, I know. But I do feel an immense amount of relief knowing that it's done! I don't really talk about finances much on here, but I'm going to for just a second. After college T and I both stupidly racked up some credit card debt. We've been working really hard to get rid of it for the last 2 years. With what we're getting back from our tax return, we will be able to completely wipe out what's left on our balance and be credit card debt FREE for the first time since college. It's a huge weight lifted off of both our shoulders, and I cannot wait to call and cancel those cards. 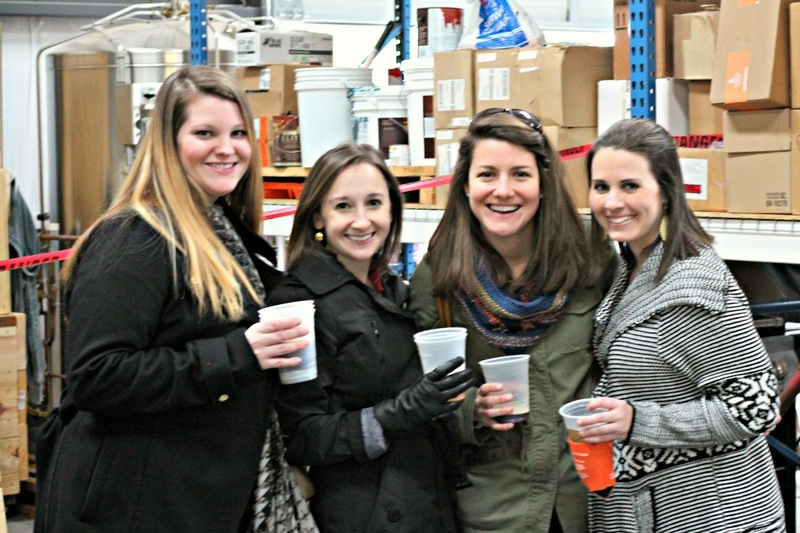 Later on that day we headed to Brewery 85 and met some friends for the brewery's 1-year anniversary party. 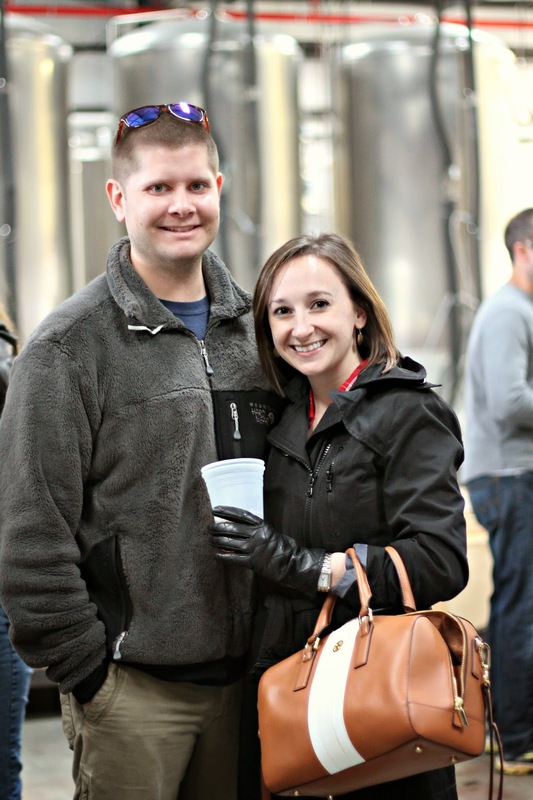 Brewery 85 is one of the many breweries that we have in the upstate, and in my opinion they have the best beer. You can read my full review about them here. 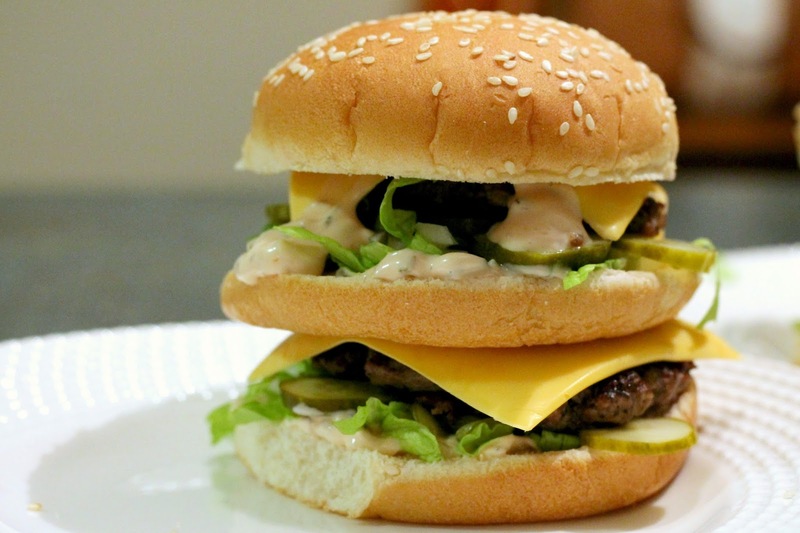 But back to the burgers, if you're interested in making these here's the recipe! Divide your meat into 8 equal sections. Shape into balls and flatten into thin patties. Salt and pepper each side of the patties. Try not to mess too much with the patties while you flatten them it will make them tough. Lay them on parchment paper after shaping so they are easy to remove. Cook the burgers on the grill or in a large frying pan at medium-high heat for 3-4 minutes each side until they are cooked through. Once patties are cooked, cover patty with a slice of American Cheese. Layer special sauce, lettuce, onions and pickles and first burger patty on bun. Place middle bun on and repeat layer process. Add next patty and top bun. Combine all ingredients in a bowl and stir well. Place in a covered container and refrigerate overnight or at least a few hours for flavors to combine. Y'all have a wonderful week! 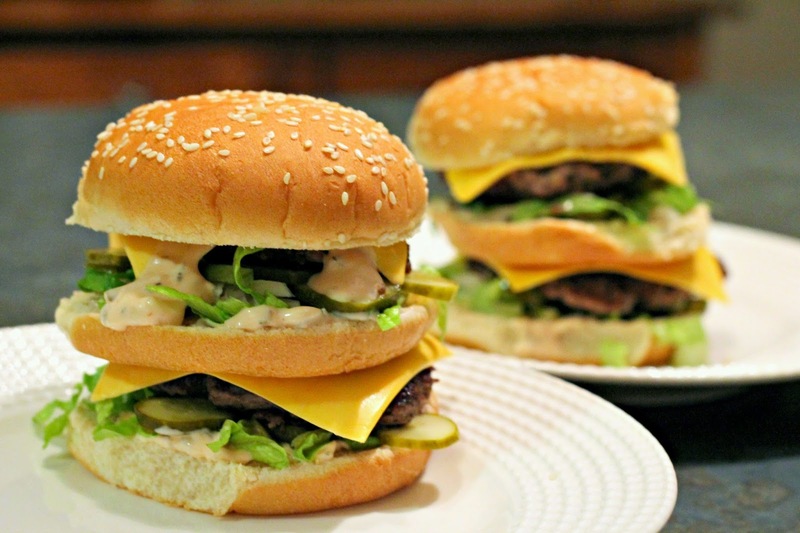 Homemade Big Macs must make an appearance at the lakehouse this summer! Wow, those burgers look amazing! Go y'all for paying off your credit cards!!! Um these sound AMAZING! I need them right now! Those Big Macs look AMAZING!!! Those burgers look so good! I've heard such great things about Brewery 85 and can't wait to try it come July. Congrats on becoming cc debt free, such a great feeling.